Life can sometimes through the fastest curve balls at you, that are almost impossible to hit. In one moment, you live a life so blissful, you would never think in your mind that things could take a turn for the worse. For KALUA recently surrendered to the high kill Miami-Dade Animal Services, he could tell you all about dealing with curve balls if he could talk. His owner didn’t want him anymore, and so after 7 years of loyalty, love and unwavering devotion, he mercilessly dumped this precious pup at MDS, leaving him all alone to fend for himself. In fact, according to my source at the shelter who wishes to remain anonymous, during the intake, his owner couldn’t spend the five minutes to give basic information like a name and an age. Instead, she briskly walked out the door, leaving the staff at MDS to sort out all the details. And so now this precious pup, who didn’t do a single thing to deserve his new fate, is emotionally shattered like broken glass. One way he deals with the noise, chaos, and confusion of life at Carson, is to find the nearest corner and bury his head in a makeshift pillow he made out of her toys. According to my source, at night, KALUA tucks himself into a fetal position on a favorite blanket, and quietly sobs himself to sleep. Sad indeed. 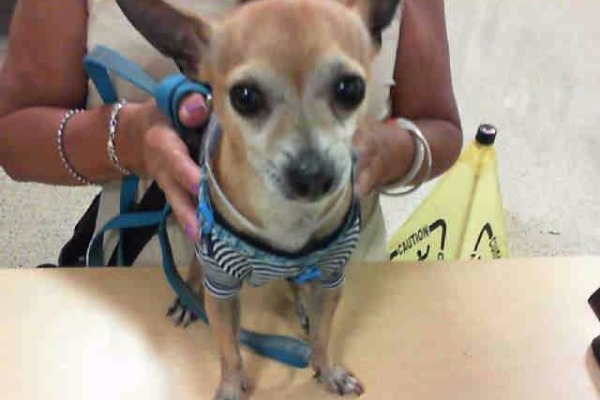 3599 NW 79th Ave, Doral, FL 33166 and reference the shelter ID #A1871071.